Small Business Expert, Jim Blasingame, on MSNBC's "Your Business"
Leading expert on small business and entrepreneurship to answer questions from entrepreneurs. Jim Blasingame will be a guest expert on MSNBC's Sunday television program, "Your Business," which focuses on small business issues. This show will air Sunday, June 15 at 7:30am EST. Hosted by JJ Ramberg, "Your Business" has a number of fast-moving segments, including a discussion by the host and panelists, questions by small business owners answered by the panelists, and the "elevator pitch" segment, where the panelists evaluate the quality of a business's pitch to attract investor capital. "We're excited to have someone of Jim Blasingame's stature in the small business sector to join us on our show," said JJ Ramberg, host of 'Your Business'. "Jim brings an incomparable depth of experience and knowledge of small business and it will be fun to work with him." Blasingame is considered one of the world's foremost experts on entrepreneurship and small business. 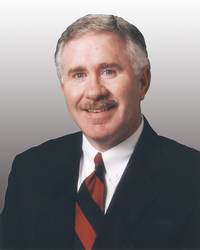 As the creator and award-winning host of the nationally syndicated radio program, The Small Business Advocate® Show, Blasingame is the only person speaking to America's entrepreneurs on the radio every weekday, plus he has a world-wide audience for his Internet simulcast and on-demand archives. "It's an honor to be invited to contribute to 'Your Business,'" said Blasingame. "JJ Ramberg is a great host who knows small business. I'm looking forward to working with her and my friend, Rod Kurtz, with Inc. Magazine, to create some important tips, tool and best practices for the 'Your Business' audience." Internationally recognized as "the voice of small business," Blasingame conducts more than 1,000 live interviews annually with his 600+ member Brain Trust, the world's largest community of small business experts. He is also a high-energy keynote speaker and panel moderator, a syndicated newspaper columnist and author of two books: Small Business Is Like A Bunch Of Bananas and Three Minutes to Success, which have sold more than 90,000 copies combined. Blasingame's daily feature, "A Small Business MinuteTM," airs daily on XM Satellite Radio's talk and sports channels. Google ranks Blasingame as the number-one small business expert in the world. Talkers Magazine has identified Blasingame as one of the most important radio talk show hosts in America. The Small Business Advocate® Show is the flagship brand of the media company, Small Business Network, Inc. (SBN), of which Blasingame is founder and president. SBN produces and distributes multi-media small business resources worldwide, including The Small Business Advocate Show and the world's only small business knowledgebase, AskJim.biz®, where entrepreneurs get business questions answered in real time. IBM, Administaff, Aflac and Palo Alto Software are SBN sponsor partners. Blasingame's websites are SmallBusinessAdvocate.com and AskJim.biz. Small Business Advocate® and Ask Jim® are registered trademarks of Small Business Network, Inc.